Produttore del vincitore del test! RX: specialista per la prescrizione di sicurezza di sport e.
Top-of-the-line lenses – polarized HLT lenses! Our polarized lenses block virtually 100% of the sun's glare and generate considerably higher contrast for better visual acuity. Less eye fatigue, no blinking and no straining to see comfortably. Glare occurs when light waves are reflected off flat, shiny surfaces. Once reflected, the light waves become polarized and vibrate in a horizontal direction. Glare affects your ability to see, is unpleasant, painful and can even be dangerous on the road. While non-polarized lenses can make the environment seem equally darker, our polarized HLT® lenses block almost all of the glare. Disturbing reflections are completely eliminated! 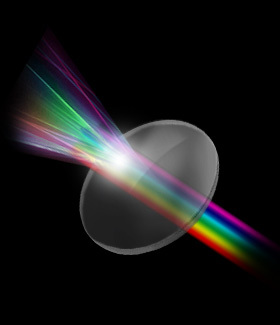 Our lenses in this category offer anti-glare properties that can't be surpassed. Our biker & sports glasses surround your eyes like an optical shield offering protection and eliminating every effect of glare, offering uncompromising safety when facing glare caused by natural reflection.